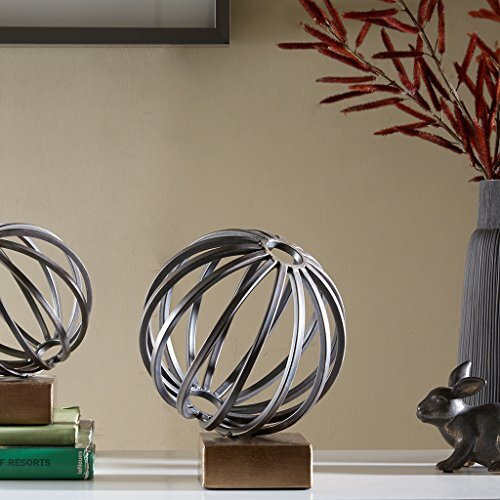 The Madison Park Bronze Metal Globe Figurine provides a strong and sophisticated accent to your home decor. The metal globe features a bronze finish and sits atop a gold base for a rich and dignified look. This decorative object makes a great addition to any bookshelf or table top. Care instructions HANDLE WITH CARE. WIPE GENTLY CLEAN WITH DAMP CLOTH. Material Material: Metal. Metal Finish: Bronze finish, base in gold finish.